Tasting some of the most popular Greek drinks is the best way to get the genuine flavor of Greece during your holidays. Most of them contain alcohol and accompany delicious Greek food delicacies. However, they differ one from the other regarding their raw ingredient and the preparation process. Therefore, they also differ in taste and flavor. Anyone spending holidays in Greece shoul, taste oúzo, even once, the most popular among the Greek drinks. Oúzo is a mixture of alcohol, water and various aromatic herbs, among which there is always aniseed. Unlike tsípouro and tsikoudiá, typically, it contains only a small percentage of grape distillate. The final product is usually 40 to 50 ABV. The next step after the selection of the raw ingredients is the distillation of oúzo. The anise seeds, the alcohol, the aromatic herbs and the water are boiled for many hours in traditional handmade copper stills, called “kazánia”. Then, the mixture is distilled without the heating and cooling temperature to be changed. From the first distillation, is collected the high quality distillate. 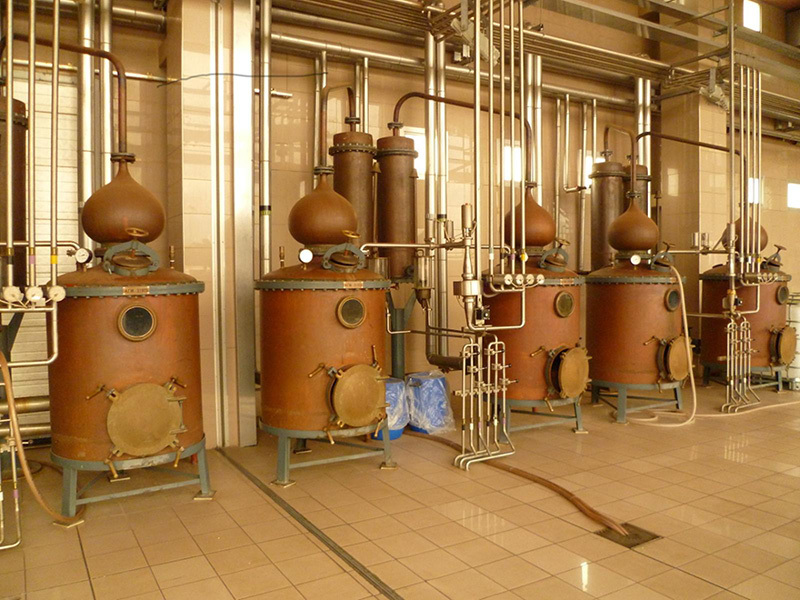 Then, it runs in the second and third stage of the distillation process, while it undergoes continuous tasting. Before the distillate is bottled, it is diluted with soft water in order the final product to obtain the desired alcoholic volumes. The high alcoholic volumes are a prerequisite for the integration of the rich flavor of oúzo. Today, oúzo is produced throughout Greece. Oúzo producers are about 300. Greeks, often, mix oúzo with water, so it becomes white and reveals another character. The dilution of oúzo, in addition to the color, changes also its aroma. The unique oils of anise and fennel are released and allow us a journey into senses. Oúzo is a wonderful aperitif and perfect to accompany delicious seafood starters and fried foods with intense flavor. The consumption temperature for all spirits with intense flavor should not be high. That’s why, we recommend you to add ice in your oúzo. 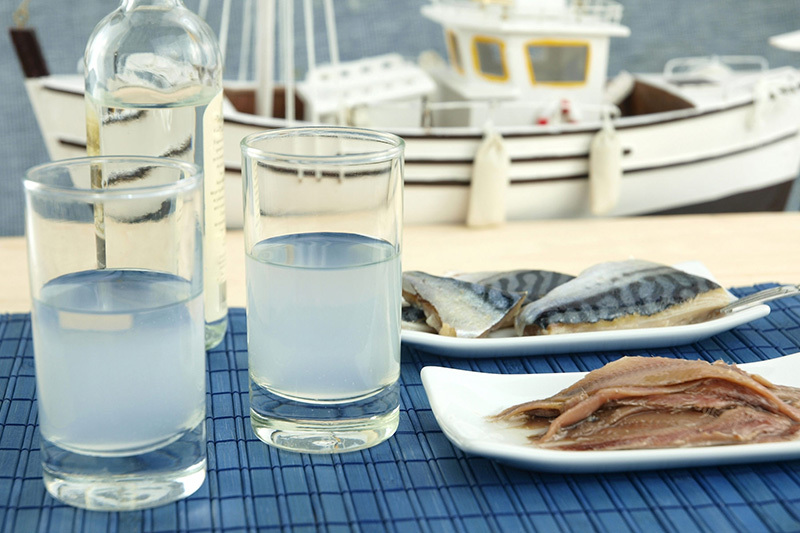 The glass, in which ouzo is served, is, usually, tall and solenoid in order to allow the desired addition of water. Tsípouro is the most famous of Greek drinks, right after oúzo. In Greece, during autumn, people celebrate the wine-making. The preparation process starts by pressing the grapes. After the wine-making, it is time for tsípouro! From late October to mid-December, the specific beverage is prepared in traditional cauldrons. This process is accompanied by several feasts and celebrations around the cauldron. According to tradition, the production of tsípouro began in the 14th century in the monasteries of Mount Athos. Over the years, it expanded throughout Greece, mainly in Macedonia, Epirus, Thessaly, Cyclades Islands. For the distillation of tsípouro, producers use white and red grapes. Usually is necessary at least a second distillation to obtain the final product. The second distillation improves the quality of tsípouro and gives it a finer aroma and flavor. In the second distillation producers can add various flavors, such as anise, fennel, cloves, nutmeg and mastic. If you add water or ice in tsípouro, it becomes white because of the anise, one of its ingredients. Each producer keeps secret the quantity of the substances he adds. The spirit is usually 36-45 ABV and served in small shots. You will enjoy it more if you add some ice or a little bit of water. 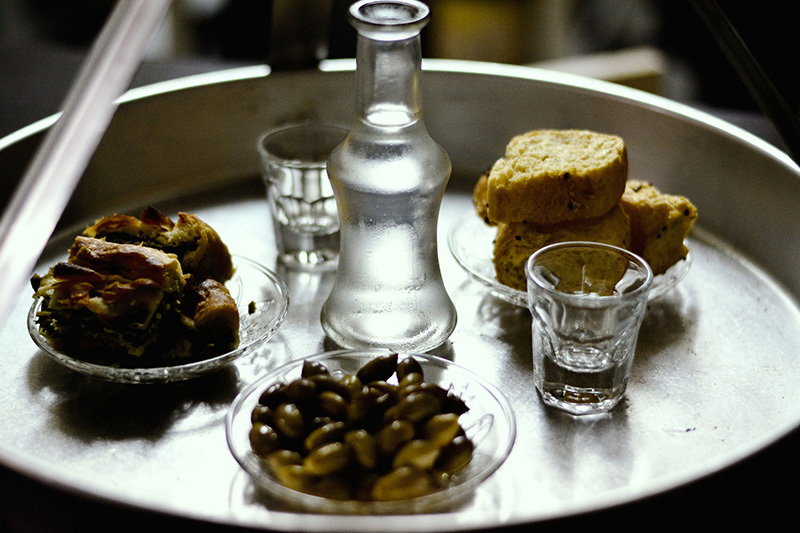 You may drink tsípouro as it is, but we would recommend you to accompany it with appetizers, in a “tsipourádiko” (= traditional taverns serving Greek delicacies with tsípouro). At first, you will be served simple dishes like cheese and olives, and, gradually, more spicy, constantly alternated, while the table is filled with small plates. It can be meat and seafood cooked in various ways, cheese and sausages, pickled vegetables, wild mushrooms, grilled tomato with coarse salt, olive with nuts, roasted potatoes and others. In “tsipourádika”, people do not eat to be stuffed and do not drink to get drunk. The aim is to extend their social interaction and pleasant mood. 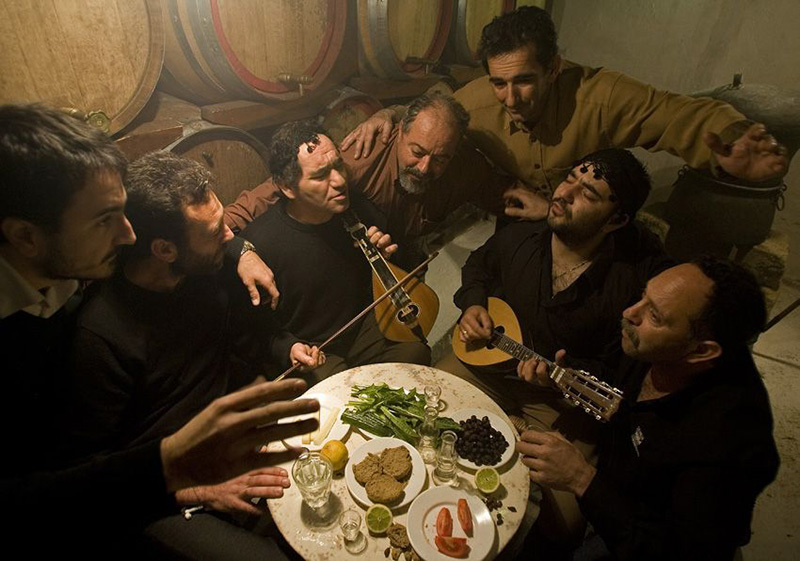 Most of the time, the group of friends are gathered in “tsipourádika”, during midday. Because of its intense taste and digestive properties, you can also drink tsípouro at the end of a lunch or dinner. While ouzo and tsípouro are Greek drinks that you can find almost everywhere in Greece, you will taste tsikoudiá, only in Crete. Tsikoudiá differs from other grape marc distillates, as there is not any herb flavor added in it. In Western Crete, it is called tsikoudiá, while in Eastern Crete is called rakí. 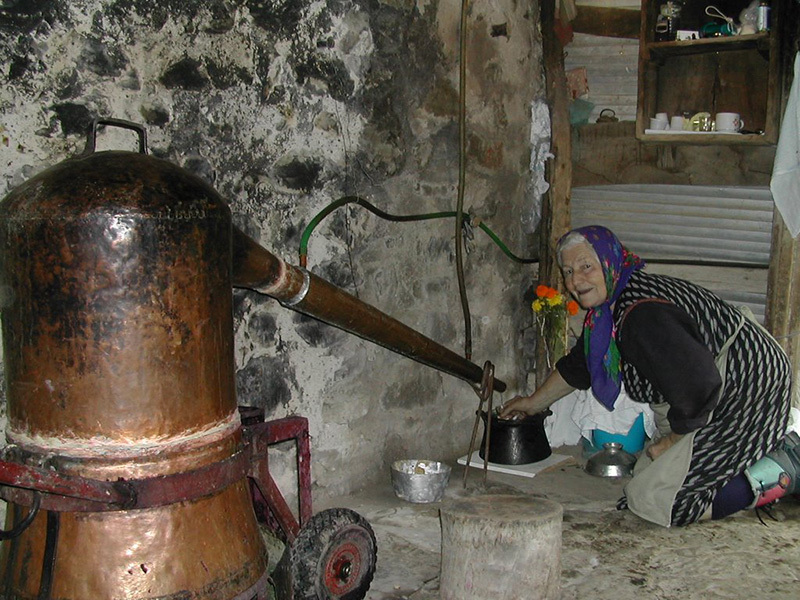 In Crete, the distillation of tsikoudiá was allowed at home in the 1920s for the first time. Since then, the cauldrons are switched on in early October and switched off in late November. Grape marc is slowly boiled in special cauldrons. Drop by drop, tsikoudiá begins to flow; very strong at first, almost pure alcohol, and then properly balanced. In order to strengthen its flavor, Cretans add lemon peel and rosemary in the cauldron. Tsikoudiá usually contains 37% alcohol and sometimes is served cold. Around the cauldron, there is always a feast, a unique experience for any visitor who have chosen to stay in Crete. Tsikoudiá is an integral element of Cretan tradition and hospitality. In every house there is always a bottle, which the housekeeper offers to his guests, accompanied by traditional local delicacies. Tsikoudiá is perfectly combined with roasted potatoes, olives, raw cabbage, cucumbers, snails and nuts. Often, it is also offered as a digestive after meals. In most taverns in Crete is offered as a free aperitif with fruits and sweets after lunch or dinner. 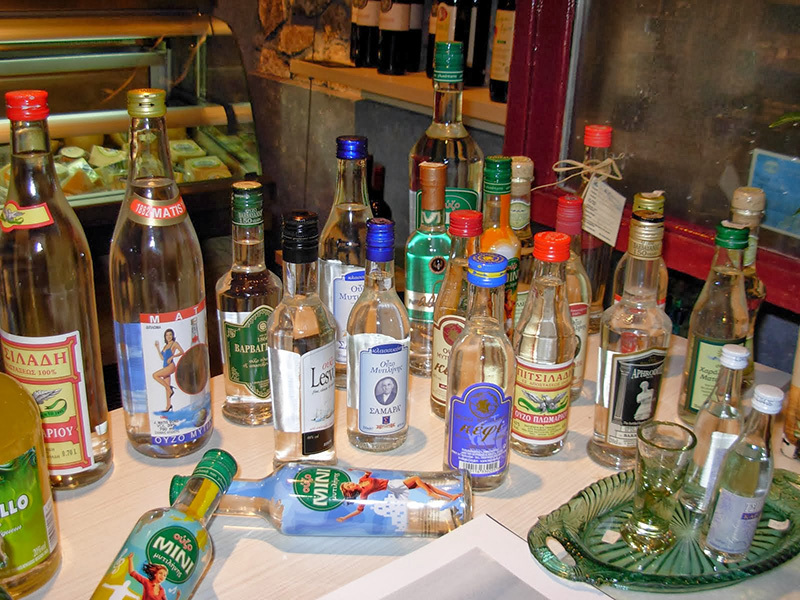 Oúzo, tsípouro and tsikoudiá are recognized by the European Union as beverages produced exclusively in Greece. 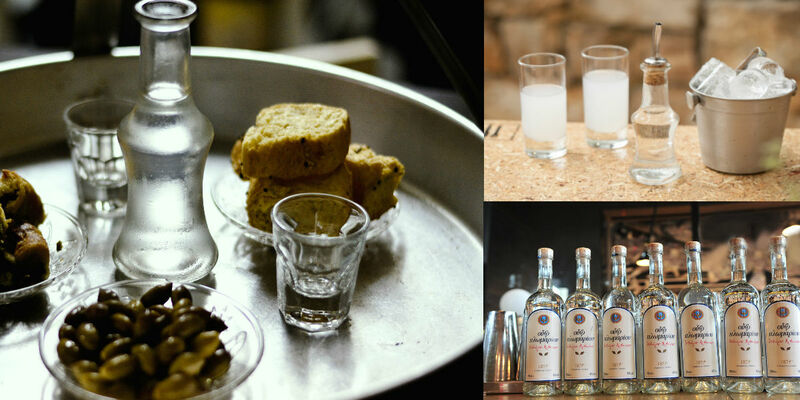 Those Greek drinks are not just local products. They are indicatives of the identity of the local culture and express Greek hospitality.